In 2007, we shook things up again by trying our hand at politics with a one-hour special about the 2007 Australian federal election. A few weeks after it aired, we quickly went back to movies. 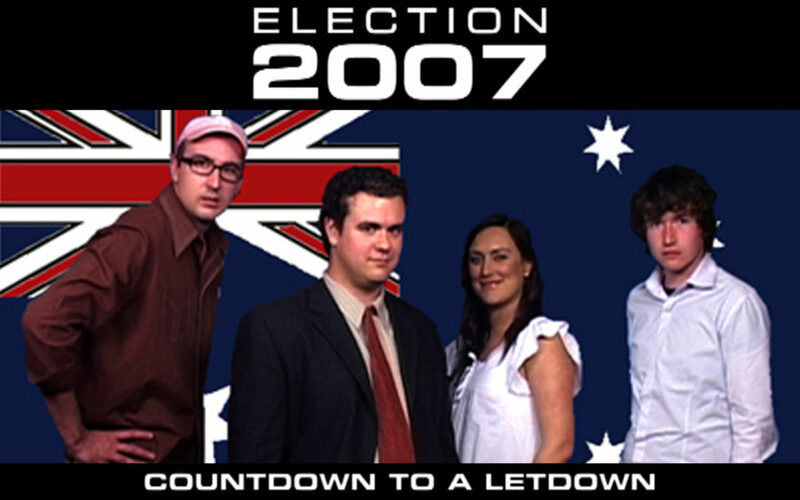 But here, in its entirety, is Election 2007: Coundown to a Letdown, presented by Adam Knox, Shannon Marinko, Emma Race and Lee Zachariah.